First up is the Jack'd Jalapeno Hash. They take 2 crispy Hash Brown patties and smother it in melted white cheese, jalapenos, bacon and pepper jack cheese. Its pretty much a mess of cheese, jalapenos and bacon on some smooshed hash browns. For 3 bucks, its not much of a value. I can see the appeal. They should sell a few the their target audience. Next, we have the Wakey Bakey Hash. For this bad boy, they cover the hash browns and white cheese sauce with bacon, pepper jack and a fried egg. Don't let the looks fool you, this one was pretty tasty. I imagine this was the impetus for the trilogy of mashups. It makes the most sense. Its also a pretty good deal for the money. It has all the best parts of an unhealthy breakfast! To complete the trio, we have the H'angry Buffalo Hash. We start with the aforementioned hash browns and white cheese sauce and cover them with chicken nuggets, Franks RedHot and ranch. This one surprised me. I think I enjoyed it the best and it is by far the best value. The melted cheese work perfect with the chicken and Franks with the crispy hash browns being a perfect complement to the textures. The verdict. Are they good? Sure. Will I get them again? Probably not. In no way is that a reflection of the final product, im just not the target audience. Posted on August 10, 2018 by Doug Bashore and filed under Fast Foodnatic and tagged food food review fastfood. On my further exploration of Wichita by way of mouth, I chomped my path toward NuWAY, a Wichita staple since July 4, 1930. To call them burgers would be a mistake, they are in fact "Crumble Burgers" made with loose meat as seen on Roseanne. The menu had plenty to offer from hot dogs to chicken strips but I had my eye on the prize; a signature NuWAY Crumbly Burger and a Root Beer but not just any Root Beer, this one is made daily, on site. So two things I love were both offered here, a loose meat burger and a Root Beer. I reviewed Taco Bueno's Taco Burger which is the same initial concept and I may have been the person who kept Maid-Rite alive in Texas for their short existence in Texas. So though I may not be a food expert, I'm pretty well versed in the art of loose meat burgers. I'll go by what hit the tongue first, the Root Beer. It was ice cold, sweet and even though it tasted like Root Beer it was something special. Not overbearing in sweetness and not too syrupy either, just a nice cold refreshing brew that satisfied but didn't sit too heavy. As we pulled away, I instantly regretted not buying a 2-liter. Now to the business at hand. The reason I stopped by. The NuWAY Crumbly Burger... Holy cow! Not only was it worth the wait, it gives me something to look forward to revisiting. My longing for a Maid-Rite was instantly replaced by this baby. A simply dressing of mustard, onion and pickle, I added cheese to hold the meat together but it was unneeded. The meat, though loose, held together on its own and, with the help of the fresh and firm bun, the meat didn't spill out. This was due largely thanks to the meat not being terribly greasy or wet. Just a nice, evenly portioned scoop of meat that was the perfect moistness (sorry to the 18% of you that hate that word). If ever you are in Wichita, KS, make sure to hit up one of the five NuWAY locations for a chance at pure loose meat heaven. Posted on July 18, 2018 by Andy Carl Valentin and filed under Fast Foodnatic and tagged food review burger. Recently, I saw an add for a new offering at KFC, Pickle Chicken! As an avid pickle lover, I had to check it out. What it is, is a limited run flavor option that debuted on June 25th and will be on sale until they run out. It is available in 3 varieties, as a sandwich, tenders or extra crispy chicken. I opted for the tender basket which is 3 tenders a side and a biscuit for $4.99. Lets just say, I was underwhelmed. The tenders themselves were a little small compared to what you get at other establishments. The pickle flavoring come by way of a pickle "sauce". I don't know what this stuff is. It seems to be vinegar and pickle flavoring solids suspended in a cheap carrier oil. Does it taste like pickles? Well, yes. But it also has a weirdly chemical/artificial taste. A better option would have been to just drizzle a good quality pickle juice and call it a day. I can see what they were going for, but they are way off the mark. I love pickles, I wanted to love this. I did not. Posted on July 6, 2018 by Doug Bashore and filed under Fast Foodnatic and tagged food food review pickle kfc chicken. Driving to the office the other day, i saw a new place called Jack's Chicken Shack. With a name like that, you know what to expect. So, today at lunch, Ii figured I’d give it a shot. True to its name, they serve wings and tenders. They both looked great and are massive portions. But, i saw something hiding on the corner of the menu. They do an Italian Beef Sandwich. If there is one thing I have learned, its when a restaurant does one dish that's completely different than the rest of the menu, it's bound to be good. Guess i'll have to come back to try that chicken. The store itself is a nice little take out establishment. No dine in tables so it's carry out only. While that may turn off a few, it's the perfect set up for the location. During the day, it caters to the downtown businesses and the University. In the evening, there are numerous bars within walking distance that allow outside food. One thing i noticed is how clean the place way. Nothing was out of place and not a speck of dirt anywhere. That is always a good sign. You know the guy has some tie to Chicago since the walls are adorned with Blackhawk and Cubs memorabilia. I did see a Cowboys plaque on the wall so this guys is alright in my book. If you are a transplant looking for a little chi-town flavor, check this spot out. Ok, let's get to this beautiful sandwich. It's a big sandwich. It's a messy sandwich. Grab a stack of napkins and enjoy the ride! To be fair, my only experience with an Italian Beef is watching the travel channel. I always thought they looked great, but the closest I can usually find is a French Dip. A fine sandwich in its own rite, nut a completely different animal. For those unfamiliar, an Italian Beef is a roast beef sandwich, sometime with cheese, topped by giardiniera, which is a spicy relish of pickled veggies. Any good sandwich needs a solid foundation. The rolls used for this are perfect. The crust just firm enough to hold it all together, yet gives effortlessly when you bite into it. The inside is just the right density to soak up all the good meat juices and flavorful oil from the giardineria. The roast beef is just right. Sliced nice and thin and full of flavor. I don't know if its made in house, but i suspect it is. It has plenty of beefy flavor you come to expect from a good roast beef. The giardineria steals the show. It has just the right amount of heat to tingle the lips and the acidity cuts the richness of the beef and oil perfectly. The crunch of the pickled veggies is perfect contrast to the bread and the beef. It also has some melted cheese hiding in there and is a nice addition. For $9.99, you get the massive Italian Beef and a side of fries and baked beans. The fries were good, not great. But hey, it's not called Jacks Fry Shack. They stayed crispy on the drive back to the office and were well seasoned. I have to confess, i doused them in a liberal helping af wing sauce so they didn't stay crispy for long. Truth be told, I set the baked beans aside and forgot about them. Didn't matter I was stuffed. Its 10 PM and im still not hungry. I highly suggest you give this place a shot. It's a well run, local business with excellent service and a great product. This is a perfect recipe for success. I can't wait to try that chicken. Posted on June 22, 2018 by Doug Bashore and filed under Fast Foodnatic and tagged food food review local sandwich. I Ate One of Those Naked Chicken Chalupas from Taco Bell. 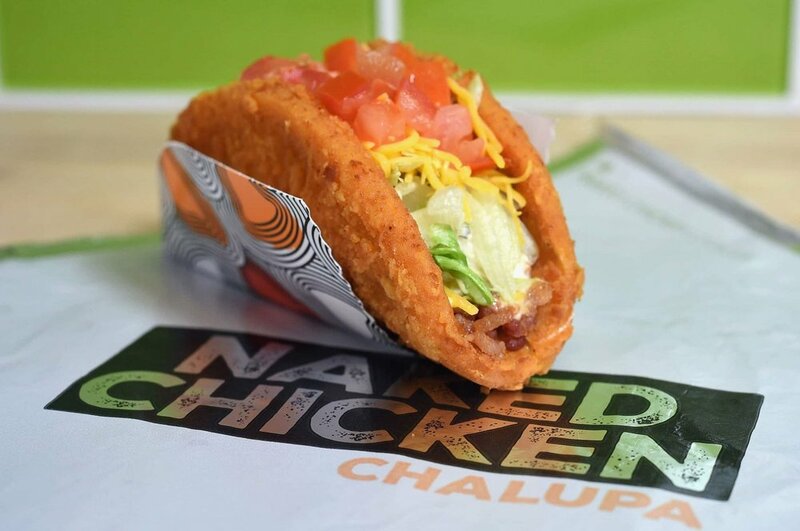 For lunch today I decided to try out the Naked Chicken Chalupa from Taco Bell. Gotta say, it wasn't as bad as I thought it was going to be. The idea of it reminded me of the double down from KFC and the idea of that makes my cholesterol rise. So I went in expecting a train wreck for lunch and grabbed the $5 box (since I'm fat) and was pleasantly surprised. At first look I thought it was a taco shell, but from the name you can guess it wasn't. It was deep fried chicken patty folded like a taco with lettuce, tomatoes, cheese, and some kind of mystical sauce that sealed the deal for me. Seriously, after applying hot sauce and biting in the first thing I noticed was that sauce. It was creamy, amazing, and mystical at the same time. The chicken wasn't dry and didn't taste bad, but I couldn't get that sauce off of my mind. Apparently this has been around before and is one of the revolving menu items Taco Bell has to keep it's menu fresh. It just somehow wasn't on my radar the last time it was around, but I'm going to have to try it again to make sure it's as good as I remember. Overall it's not as gross as it sounds. I would recommend it for something a little different if you're bored of the same ol' Taco Bell food. Posted on June 20, 2018 by Josh Brimhall and filed under Fast Foodnatic and tagged Food food review taco bell. I Ate Those Triple Melt Items at Taco Bell. Taco Bell is like the Spencer's Gifts of fast food Mexican places. A place that, in recent years, is more interested in what crazy kind of shell they can make for their tacos as opposed to what goes inside. Seriously. Remember when they used a chicken breast as a taco shell? This months limited edition offering seems tame in comparison. Maybe the location I went to didn't mix up enough dehydrated meat and water but the meat was sprinkled on sparingly. It could be due to the price point of $1 each (which didn't seem to hold back Taco Bueno, but who's keeping score...) and maybe because a teaspoon full is company standard. As far as taste went, it was as good as Taco Bell is at it's best. The nachos were missing something and that was sour cream but both tasted very, very familiar. That's when it hit me. The burrito tastes almost exactly like the Cheesy Bean and Rice Burrito and the Nachos exactly like Nachos Bell Grande. Perhaps it was March 25th and they realized their Sour Patch Kids taco shells weren't going to be ready in time so they just repackaged existing items and hoped for the best. Who knows but either way they sure didn't put a lot of effort into this one. So in closing, if you want "food" for cheap you can get both and a small drink for under $4 but if you want something new and special, skip it. Posted on April 9, 2018 by Andy Carl Valentin and filed under Fast Foodnatic and tagged food review. I Ate One (Okay More Than One) Of Those Taco Bueno Burgers. 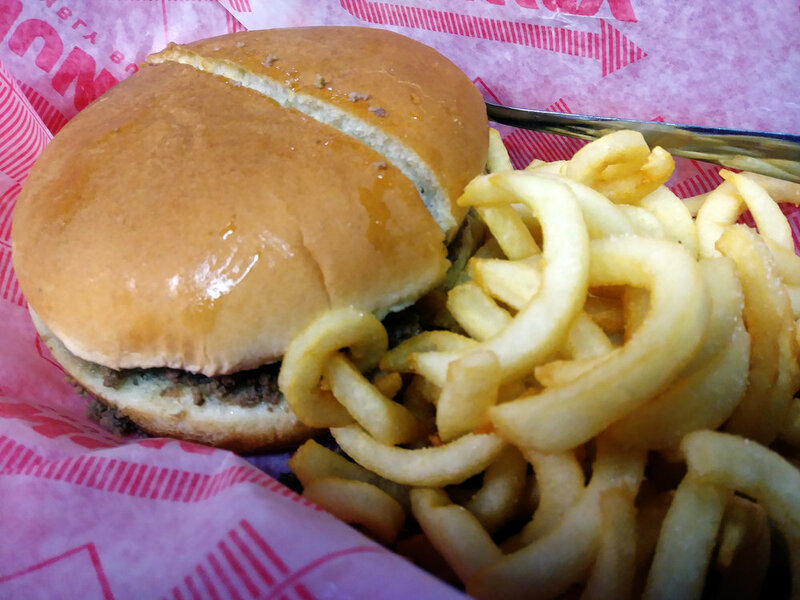 The Bueno Burger has been an item that, until recently, was only available on Throwback Thursdays and anniversaries. This is because it was an original menu item that was eventually removed from the regular menu, again, until recently. It's an item I would always make sure to pick up when available and, lucky for us all, it is an item available all the time now on the Pick 3 for $3 menu. Presentation is the only downside to this burger and after you taste it, that is something that can be 100% overlooked. Between the buns is Taco Bueno's taco meat with shredded cheese and their chili sauce. With a price point of only a buck*, I am not ashamed to admit that I will order six at a time (two Pick 3's with an *individual price of $1.59), eat two and save the rest for later. Bueno makes everything fresh and it shows with the burger. The bun is never hard, meat is perfectly cooked and the chili and cheese are what keeps it all together. Even though it spent so much time as a limited time option, the Bueno Burger has staying power and I hope it sticks around for a while this time. If you are lucky enough to live near a Taco Bueno, pick up three Bueno Burgers and enjoy the hell out of them. NOTE: I believe they are called "Taco Burgers" but "Bueno Burgers" has a better ring to it. Posted on April 5, 2018 by Andy Carl Valentin and filed under Fast Foodnatic and tagged food review. After seeing the commercial for Sonics new Signature Slingers for the thousandth time, I decided to do everyone a favor and give them a try. Believe me; I really did you a favor. It comes in 2 varieties and I tried them both. Sonic is trying to appeal to the calorie conscious crowd and offer a full flavor, lower calorie burger. From the looks of things, the decided the best way to cut calories was to make tiny burgers. While they call them Slingers, they are the size of sliders. The patty is said to be a blend of 100% pure beef, savory mushroom and bold seasonings. To be honest, the flavor wasn’t bad. It did taste like a beef patty, but that’s where all semblances of beef stopped. It was as dry as the pink eraser on a #2 pencil about the same texture. They might be onto something if they are trying to make jerky for the denture crowd. First up was the classic signature Slinger. This was comprised of your standard burger accessories, lettuce, pickles, onions and cheese. They use mayo as the spread but mayo is garbage, so I subbed mustard. Next, we have the Bacon Melt Signature Slinger. For $.50 more, they 86 the rabbit food and add some bacon. They really should have left the foliage. This thing was as dry as cotton. No moisture, none. A shot of mustard was no match for the sahara of a burger patty this thing had. The bacon was the star of this show. It was cooked just right, no burnt aftertaste and had good texture. This little guy gets a 1/5 and that’s purely for the decent bacon. I was very disappointed. I love Sonic. I eat their frequently. They do one of the best drive through,fast food burgers in the biz, but the Signature Slinger is a swing and a miss. Posted on March 24, 2018 by Doug Bashore and filed under Fast Foodnatic and tagged hamburger burger. We Ate Some Of Those Taco Shell Shaped Egg Tacos At Taco Bell. At $2 each the Taco Bell Naked Egg Taco is something you have to eat to believe. It piqued my interest when it was initially announced. Going in I had no expectations. I was pleasantly surprised buy the initial flavor and presentation one of the rare occasions that it looked like the picture on the menu. The egg left something to be desired it was discolored and over cooked. If I could have it over easy it would have been a tasty mess and would have left me wanting more. The potato,shredded cheese, nacho cheese, egg, bacon/sausage combo was a good combo and truth be told, felt almost like a meal. I've never been a fan of nacho cheese but this is one of the rare occasions that it worked. It brought warmth and "freshness" to the taco. It was the glue needed to bind it all. Over all I'd give it a 6.5 out of 10. My first impression? Ehhhhhhhhhhh... It wasn't fantastic, yet it wasn't bad. After trying the sausage one first I made my way to the bacon one. I do have to say this one was more enjoyable for me. It was something about the bacon mixed with the potato seasoning and nacho cheese that made me favor this one over the sausage one. Just the right about of white trash to hit my taste buds right in the crap factory. I give the sausage one a 5 out of 10 but the bacon one I'd give a 7 out of 10. Would eat again. 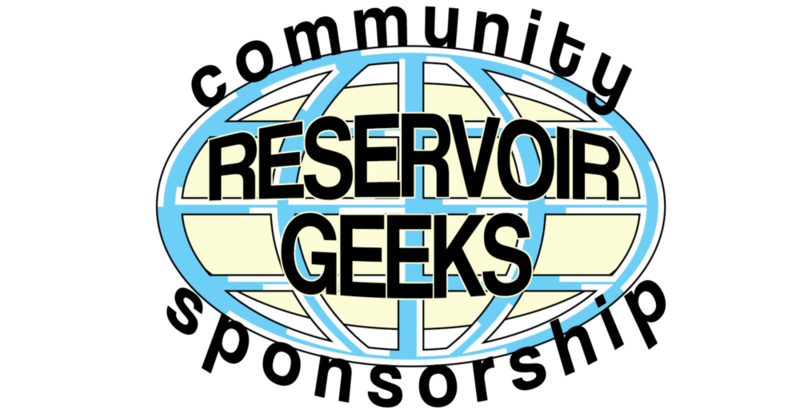 Posted on March 10, 2018 by Reservoir Geeks and filed under Fast Foodnatic and tagged food review food.